My guest is Audrey Ryan who has just released a Pride and Prejudice modernisation called All the Things I Know. You can read the blurb below, enjoy her guest post about flat vs round characters and participate in the giveaway! Thank you for giving me the opportunity to do a guest post! 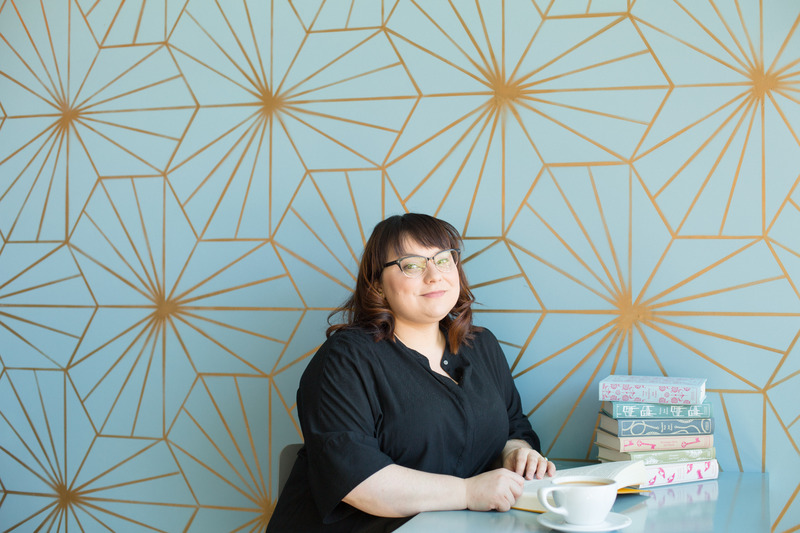 I thought for this blog post, I would share my thoughts of “flat” vs. “round” characters and how they influenced both Pride & Prejudice and my own retelling. Flat characters were called “humours” in the seventeenth century, and are sometimes called types, and sometimes caricatures. In their purest form, they are constructed round a single idea or quality: when there is more than one factor in them, we get the beginning of the curve towards the round. In essence, a flat character is a personality made simple, even though such a thing doesn’t exist. We all know that each human being is complex—it’s part of human nature. A round character changes and grows throughout the course of a novel. As a reader, you learn the characters background and motivation which leads to finding empathy for them. I myself adore the round character because I believe all people are “round”. Jane Austen is one of the few authors who uses flat characters expertly to show just what she wants about what the character represents. Their flatness is a device for the narrator to illustrate a value. For instance, Mrs. Bennet and Mr. Collins are not meant to represent a person, per se, but a point of view or value in society. Because the flatness is portrayed by a seemingly omniscient source, it is more likely to be interpreted fact by the reader. Yet these aren’t truisms, but commentary in a “novel of manners”. Our narrator is taking societal norms and poking fun at them through this device. The way this device is manipulated is what works for Austen’s use of flat characters. All the Things I Know, in contrast to Pride & Prejudice, is not told from a witty omniscient narrator’s point of view. By filtering thoughts and observations through Lizzie’s first-person point of view, we as readers understand that it’s her perspective that prevents her from perceiving a character as “round”. In fact, part of Lizzie’s journey is learning how to see people beyond their stereotype. This means she needs to find the roundness in a person’s character. The recognition of this roundness is part of her maturation. As I mentioned before, I adore round characters and there are very few authors (Austen aside, because she’s the master) who I think can pull off a flat character. I often find them annoying and can’t wait to get past their scenes. I like to understand people, especially when jumping into a fictional world. Did I keep some characters flat when I wrote All the Things I Know? To a degree, yes. Colin (Mr. Collins) and Geoff (Wickham) don’t change over the course of the book. However, we as readers understand that since we learn about them through Lizzie’s perspective, there’s probably more to the characters then she can see. To Lizzie, these two characters don’t do anything to redeem themselves and act at all in anything other than their best interests. They are flat to her. In contrast, Barbie (Mrs. Bennet) and Lydia are given a much rounder treatment in All the Things I Know. There may not be a lot of change in their character development, but their background is fleshed out and their motivations are much more understandable. In some ways, we don’t blame them for the behavior we wish they’d change. This was done on purpose because these two characters are much more important to Lizzie’s internal life. Her development as a person is influenced by these two personalities, so these two characters ought to feel more real. What do you think of flat characters? Who have you seen write them well? 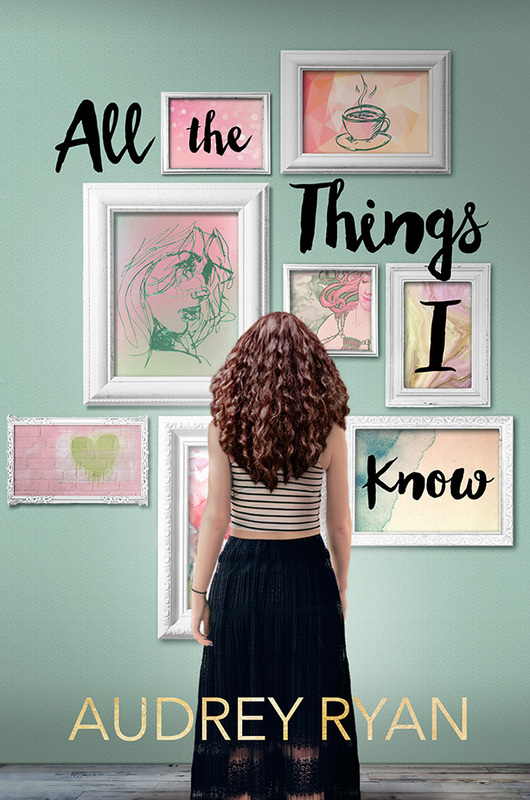 Meryton Press is offering 8 e-book copies of All The Things I know to readers following the Blog Tour. To participate in the giveaway leave a comment on this post and click here. I look forward to this book. 🙂 – I tend to think that for someone to pull off a caricature or “flat” character, there has to be a healthy dose of humor of the self-referential kind. Tina Fey does it well too, I think. Thanks for commenting! I’ve always complained about authors who use caricatures of Austen’s more silly characters, as they’re essentially making them less interesting and more annoying. Now I know why. Thanks for this insightful writing tip, Audrey! Thanks for hosting, Rita, and I hope your appraisal season sees you through without headaches. Wow! I’ve never thought of characters in this perspective before. How interesting. I will probably look at characters in a different light in the future. Thanks to Rita for hosting and thanks to our author for the generous give-a-way. I wonder if I am a ‘flat’ or ’round’ character? Don’t answer that!! Every person is “round”, don’t worry! Thanks for the comment — I’m glad you found the post interesting! This is a new perspective for me and a new way of appreciating the writing of Jane Austen. She is a genius as both Mrs. Bennet and Mr. Colins are flat characters that one does not forget. Thank you for the giveaway. Thanks for the comment! Jane Austen does flat characters *very* well, and part of it is her using them to poke fun of social norms. It’s hard for me to think of a writer who employs flat characters well without using humor. She sure did know what she was doing! Never heard of “flat” and “round” characters before. Very interesting post, will need to keep this in mind next time I read P&P. Thank you for the comment! Glad you enjoyed the post :). I have never thought of flatness in the depiction of Mrs Bennet and Mr Collins is to illustrate a value. Thanks for sharing another perspective of P&P. Clearly you have thoroughly analysed the canon and have a better understanding than me. My English Major nerd colors are showing :). Glad you enjoyed the post — thanks for commenting! Interesting concept of flat vs. round characters. Thanks for sharing. Always happy to share my thought 😀 – thanks for reading and commenting!